PIPE BOMB SCARE: Who are the targets of the packages allegedly sent by suspect Cesar Sayoc? Authorities arrested a suspect in Florida Friday morning in connection with suspected explosive packages sent to prominent Democrats across the county. NEW YORK -- A suspect is in custody after at least a dozen suspicious packages were sent to high-profile figures around the country, ABC News confirmed. The suspect is 56-year-old Cesar Sayoc of Aventura, Florida. Authorities are now investigating 15 suspicious packages that have been addressed to politicians and others around the country this week. The recipients were all prominent Democrats or others who have been critical of President Donald Trump. Here's a look at who the packages were addressed to. On Monday, Oct. 22, a suspicious device was found at the Westchester County, New York home of billionaire philanthropist George Soros. 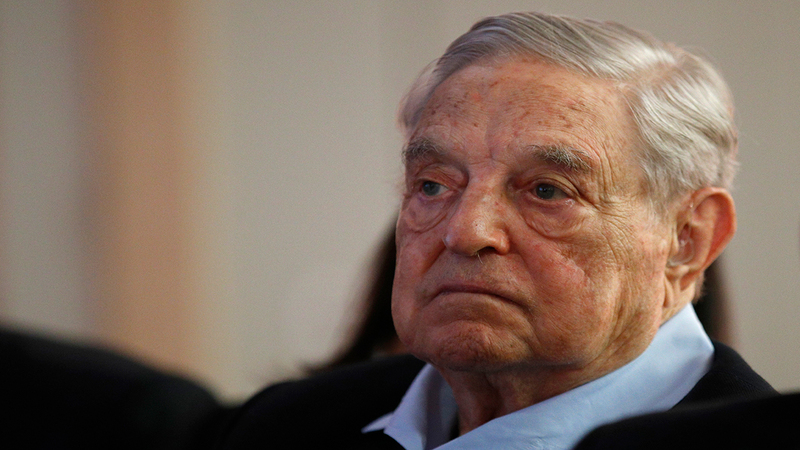 Soros, who made his fortune in hedge funds, frequently donates to liberal causes and Democratic candidates. Recently, conservative critics have accused him without evidence of secretly financing the caravan of Central American migrants making their way toward the U.S. The next package to be discovered was a suspicious device found addressed to Hillary Clinton. The former Secretary of State, presidential candidate and first lady not at her home in Chappaqua, Westchester County in New York. Rather, she was at a campaign event in Florida for Donna Shalala, who served as a Cabinet official under President Bill Clinton. "We are fine thanks to the men and women of the Secret Service who intercepted the package addressed to us long before it made our way to our home," Hillary Clinton said during her speech. "Every day we are grateful for their commitment, and obviously never more than today, but it is a troubling time isn't it? And its a time of deep divisions, and we have to do everything we can to bring our country together." A suspicious device addressed to former President Barack Obama was intercepted in Washington, D.C. early Wednesday morning. A social media user shared a photo from a nearby building as the Time Warner Center was evacuated on Wednesday. 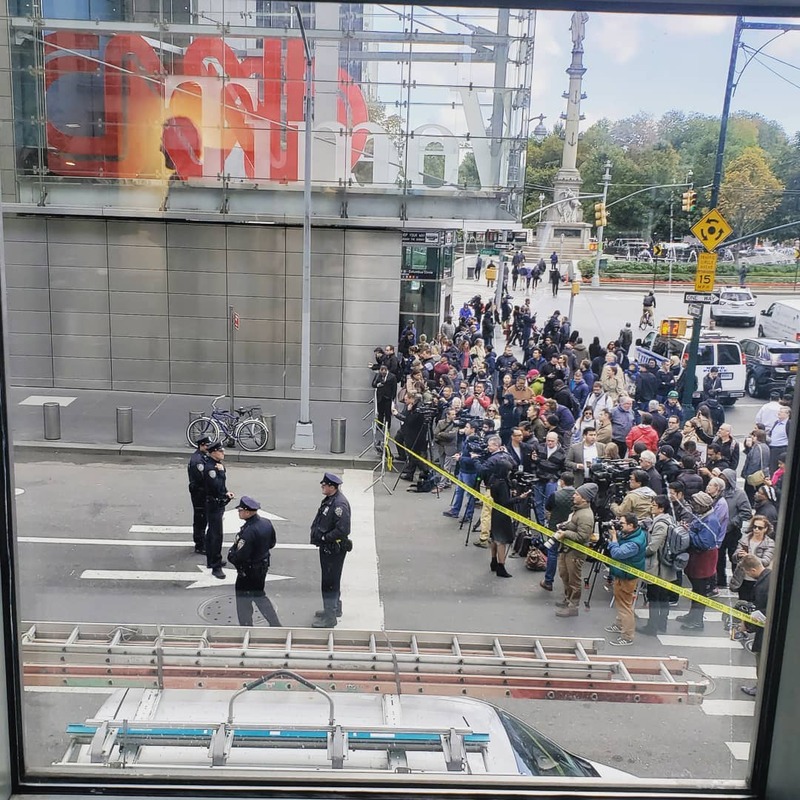 Later on Wednesday morning, a package containing an explosive and suspicious powder was found in the mailroom of the Time Warner Center at Columbus Circle in New York City. The package was addressed to both CNN, which has offices in the building, and former CIA Director John Brennan. The Time Warner Center was evacuated for part of the day while the device was removed. After the president tweeted about the "anger" in society being caused by the "mainstream media," Brennan replied to the president that "Your inflammatory rhetoric, insults, lies, & encouragement of physical violence are disgraceful." Midday on Wednesday, ABC News learned that a suspicious package addressed to former Attorney General Eric Holder was sent. It never made it to its destination due to a delivery error and was bounced back to the return address -- the office of Rep. Debbie Wasserman Schultz in Florida, which was briefly evacuated. The next package on Wednesday was addressed to U.S. Rep. Maxine Waters (D-CA) was intercepted by Capitol Hill police. Later in the day, local and federal authorities announced they were investigating another suspicious package at a South Los Angeles mail facility that was also addressed to Waters. Early Thursday morning, a suspicious package addressed to Robert De Niro was discovered at an address associated with the actor and removed by the NYPD. De Niro is one of Trump's most vocal critics, having referred to the president using an expletive onstage at this year's Tony Awards. On Friday, the actor released a statement through his publicist: "I thank God no one's been hurt, and I thank the brave and resourceful security and law enforcement people for protecting us. There's something more powerful than bombs, and that's your vote. People MUST vote!" Like Congressman Waters, former Vice President Joe Biden was the intended recipient of two packages recovered so far. One was discovered at a postal facility in New Castle, Delaware and another was discovered at a postal facility in Wilmington, Delaware. Both of those packages were discovered on Thursday. ABC News then learned that federal authorities were chasing promising leads pointing them to South Florida as a suspected origin of at least some of the potential bombs. An eleventh package, addressed to Sen. Cory Booker (D-NJ), was recovered in Florida on Friday morning. A package recovered in Midtown Manhattan on Friday morning was addressed to former Director of National Intelligence James Clapper. Like the Brennan package, this one was intended to be sent to CNN's Manhattan offices. This one, though, was found in a Midtown post office before it was ever transported to the Time Warner Center. Clapper, a CNN contributor, spoke to the outlet on Friday. "I do want to just echo one thing that (former CIA Director) John Brennan said and that this is not going to silence the administration's critics," he said. A 13th suspicious package was discovered Friday, Oct. 26, and was addressed to California Sen. Kamala Harris. Officials said the device, ound at a post office in Sacramento, was rendered safe and has been turned over to the FBI. A suspicious package mailed to Democratic billionaire Tom Steyer was intercepted at a mail facility in Burlingame, California, a city near the San Francisco airport. A suspicious device was found inside but has been rendered safe and is on the way to an FBI lab for further investigation. On Oct. 29, a fifteenth suspicious package was intercepted at an Atlanta post office. The FBI did not identify to whom the most recent package was addressed, but CNN President Jeff Zucker announced it was addressed to the cable television network.